Peter Korn takes a classical approach to teaching woodworking, introducing fundamental tools & shop practice. 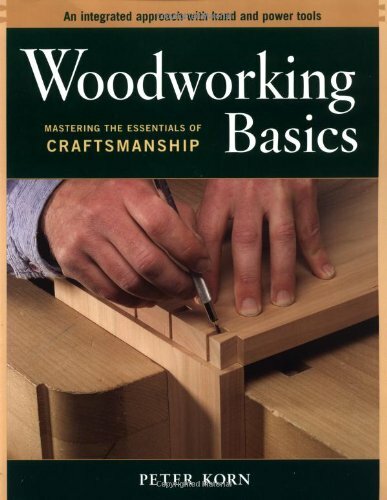 This is a solid, systematic learning tool for the advanced beginner seeking to master the basics of woodworking craftsmanship. Peter Korn is the founder and Executive Director of the Centre for Furniture Craftmanship, a woodworking and design school in Rockport, Maine. A furniture maker since 1974, his work has been exhibited in galleries and museums across the United States. In addition to writing Why We Make Things and Why It Matters: The Education of a Craftsman, which won the 2014 Maine Literary Award, Korn is the author of several how-to books. These include the bestselling Woodworking Basics: Mastering the Essentials of Craftsmanship and The Woodworker's Guide to Hand Tools.